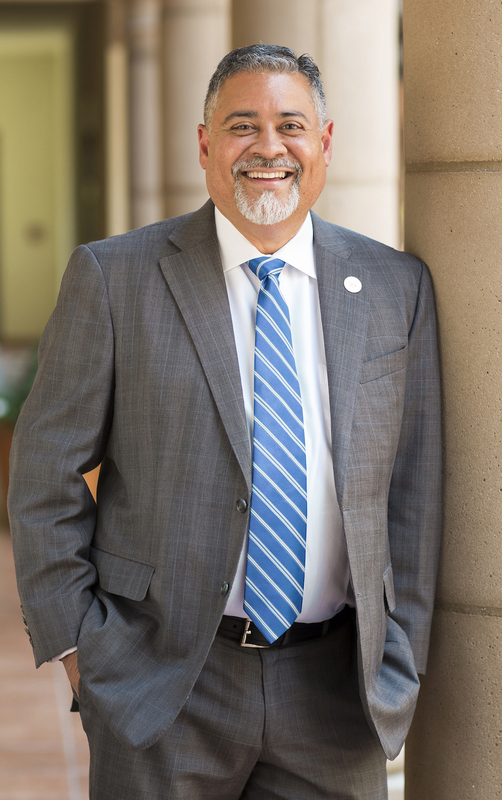 Richard P. Virgin (Rick) became the Vice President for University Advancement at the University of San Diego on August 1, 2018. His previous leadership position was as Vice President of University Relations at Creighton University in Omaha, Nebraska, where he served as the chief fundraiser and philanthropic strategist. Rick led the successful Ignite the Greatness campaign that culminated in the first named college at Creighton, the Heider College of Business. He has a solid reputation for creating high-performing teams, establishing strong relationships with boards and senior leadership, and coaching and mentoring staff at all levels. He has more than 20 years of development leadership experience spearheading successful fundraising campaigns and establishing a significant record of accomplishment securing major and transformational gifts at Creighton University, George Mason University and The George Washington University. As a member of Hispanics in Philanthropy and board of trustee’s member of Partnership 4 Kids, Mr. Virgin also brings with him a commitment to community service. Rick, his wife Kathleen Rapp, their daughter Kennedy, and a puppy named Scout, now reside in San Diego not far from the beach.